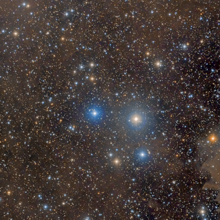 vdB 149 and vdB 150 are a reflection nebulae visible in the constellation Cepheus. It is about fourth on the line connecting the stars Alfirk (ß Cephei) and Alrai (? 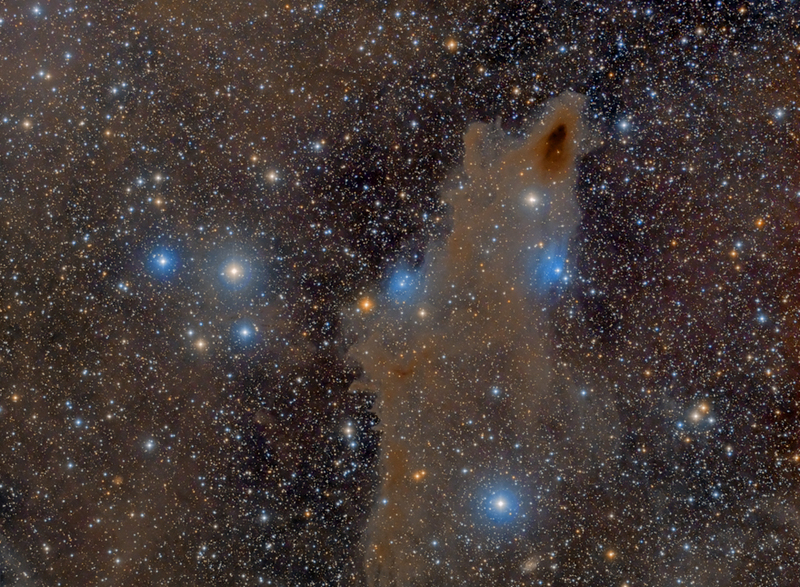 Cephei), in a region rich in dark molecular clouds, in particular, seems to be part of vdB 149 large dark nebula LDN 1235, although the involvement of Radial velocity studies indicate that it would be in his direction only to a perspective effect. 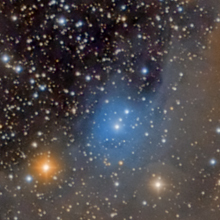 The star of the region is responsible for lighting BD +72 1018, a blue-white star of spectral type main sequence B8V, which leads the gas and dust illuminated it markedly bluish in color, slightly overheated and making them emit infrared radiation, also observed dall'IRAS; its parallax, measured 3.20 ± 0.63 mas, which corresponds to a distance of about 312 parsecs (1019 light years) would indicate the contrary, a distance similar to that of vdB 150, visible just to the north and certainly part of the nebula LDN 1235. 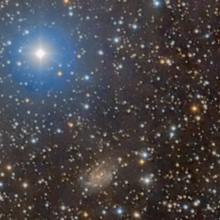 The seventh magnitude star HD 210615 orange, little visible vdB south of 149, is not part of the region, being more prominent. 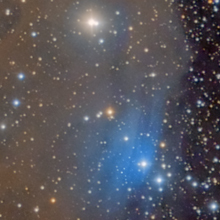 Awards Overall Winner of "ATIK CCD 2012 Astrophotography Contest"